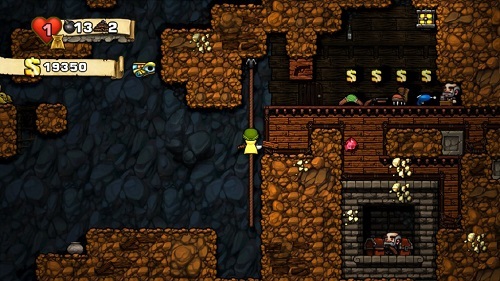 Somewhere between the 60 and 80 hour mark, I decided Spelunky is one of my all-time favorites. The randomized levels constantly lead to all kinds of crazy scenarios. Each death is memorable and most are hilarious, like that time I took the plasma rifle to the final level and killed myself trying to get those few last gems. You die a lot. Spleunky is a harsh master, and its trial by fire means each victory is earned but also each death is your fault for getting too greedy or trying to go through a level too fast. The purity of each run being from scratch means that a lot of getting better at the game is learning how the world works, systems, and item combinations instead of muscle memory. 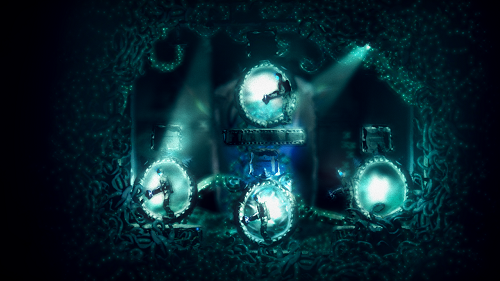 After you’ve played a while, you’re reflex is to blow through the early levels, but the game rewards the player that balances forethought with platforming skills. It’s deceptively simple, there’s a lot going on beneath the surface, and one of those games I can come back to at any moment. 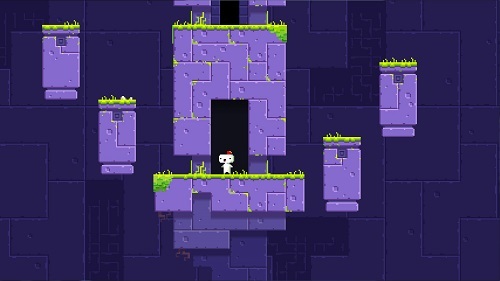 Once you accept Fez as an exploration games with lite-platforming and strange, Myst-like meta puzzles, the game’s brilliance begins to emerge. From the complicated branching paths to the mystical shifts in mood, a lot of the joy of Fez is in the traversal and the astounding aesthetic qualities. And the Disasterpiece soundtrack accompanying it all is one of the best works of video game music. It reminds me a lot of what I loved about the first two Myst games. This takes the design philosophies of games like Deus Ex and Dishonored of giving you a set of tools and an environment and setting you loose on the world. The 2D space means you can’t be quite as free-form as those games, but it’s one of those games where experimentation leads to oblique solutions to problems. Also, the game has an excellent jazz soundtrack and a story worth experiencing. The ship stuff in this game is so good. I’m usually not one to be impressed by technical feats, but the way the world seamlessly transitions from ship combat to deck combat is amazing. 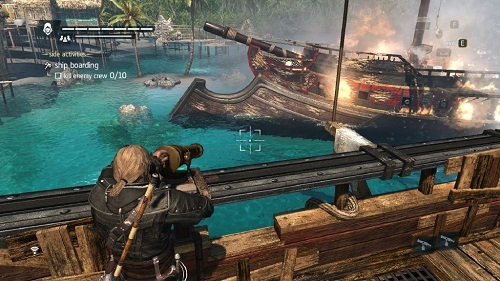 Sailing around the seas and looting in this game is a blast. There are also some interesting systems involving all the open seas stuff that the game never explains which feels strange for an AAA game. Discovering a whole new level of interactivity and using them to your advantage without being told feels unusual and empowering in an industry that’s become more and more mollifying of its audience in recent years. Yes, the Animus stuff is dumb, the story is trite, and about half of the main missions are awful but the highs are high enough that I found myself loving the overall experience. 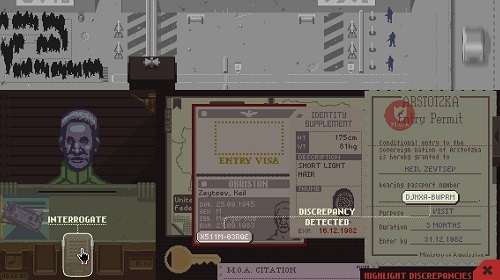 Most video games are shallow empowerment fantasies (see the above), but Papers, Please does a great job of putting you in a mundane job and making it a compelling experience. You play an immigrant inspector who decides whether or not people can enter the country. The mechanics are deliberately clunky, but there’s also something gratifying about all the details you have to check to see if someone is clear. And when the game begins to introduce moral conundrums as the people coming in start sharing stories, the game gives a startling insight into the human rationale to be swallowed by bureaucracy. It’s a profound example of how interactivity has a deep, expressive power to it that we’re still beginning to understand. No other multiplayer series has quite the breadth of serious, tactical combat mixed with insane tomfoolery. 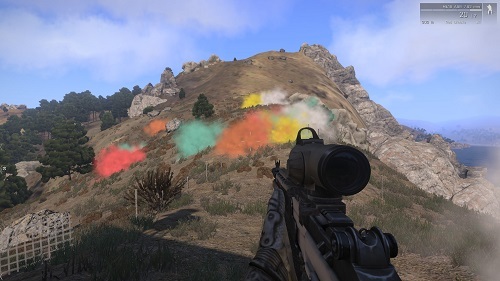 Arma III continues the series reputation as a realistic, systems-driven military shooter. One mission you’ll be holding your breath as you sneak between guards in the middle of the night, the next you’ll be playing chicken with jets. The latest instalment streamlines some of the controls and UI and the new stance system give the game yet another layer of granularity that puts it a head above every other military shooter in terms of realism and depth. Yes, the controls are weird, but they’re weird for a reason and after about 20 minutes, I never had an issue with them. There’s some smart platforming here, but of course it’s the story that takes forefront. I like the decision to make the dialogue all indistinguishable, it makes the character’s visual behavior much more important. I also love all the stuff off the beaten track you can do. I missed some of it and might have to go back through again to see them all. Also, you get to ride goats! Goat of the Year! The puzzles are astounding in this game. There are some great brain-teasers, the kind that you’ll have to walk away from the game and then come up for the solution to them hours later while you’re doing something else. It’s just the right level of difficult. 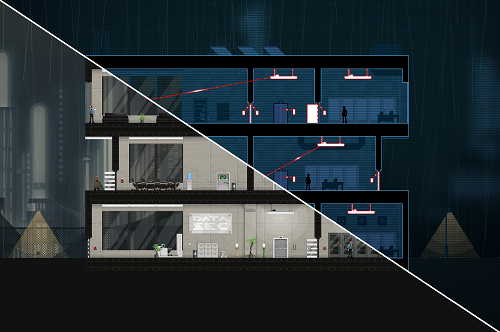 The game also boasts a strong sci-fi story and a mysterious aesthetic. I only wish the metaphysical ponderings had been written a little bit better. The best puzzle platformer I’ve played since Braid! Video games have the potential to bend the rules of our reality because they exist in a virtual space and yet so few take advantage of this. 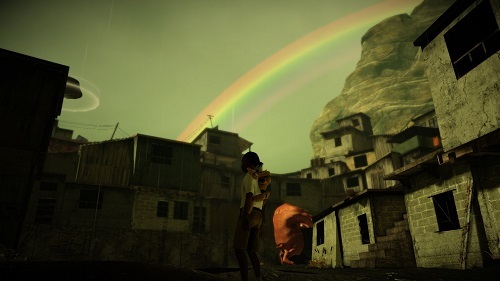 Papo & Yo revels in playing with space and how you can manipulate it to make some puzzles that are intriguing and also the greatest spectacles of any game I played this year. Add in the interesting urban African setting and the understated, albeit obvious, story and this remains one of the more memorable games of the year. A purely sensory experience. There’s no goals, not any true interactivity to speak of, but walking around the world and seeing something new and different for the first time and then finding out what it does was a continual delight. 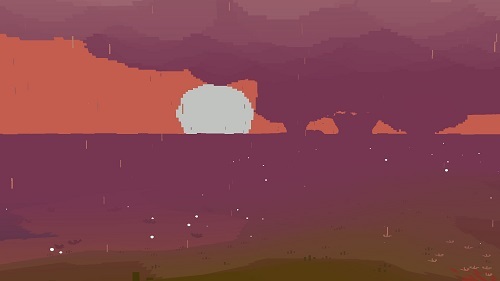 The way the music reinforces the visuals and different creatures introduce different phrases in the music makes Proteus a pure delight. 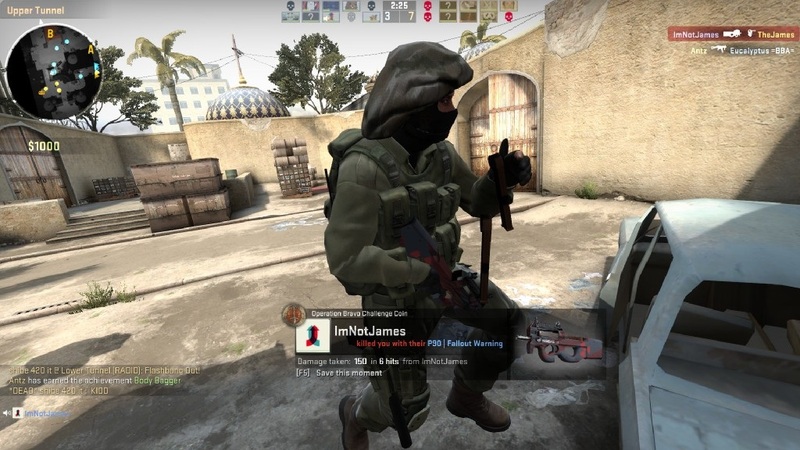 I had a dumb grin on my face the whole time I played it. Previous PostMonth in Review: January 2014Next PostWhen Did Movies Become Work?